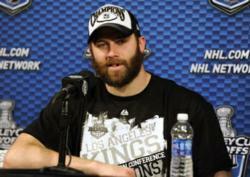 During hockey playoff season, it's traditional for NHL players and fans to sport "playoff beards" in support of their team winning the Stanley Cup. 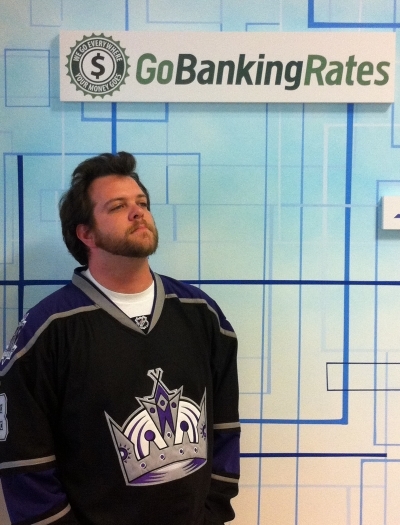 Personal finance site http://www.GoBankingRates.com finds that growing a beard all year not only allows hockey fans to save money on shaving – but saves enough to afford a game ticket in 2014. There is life after hockey playoffs, and you’ll likely be expected to groom yourself accordingly. Fortunately, there are a number of ways to save money on shaving. The hockey playoff beard – a trend supposedly started by the New York Islanders during the early 80s, according to GuyManningham.com – is sported by players and diehard fans of teams battling for the Stanley Cup. However, personal finance site GoBankingRates.com finds that growing a playoff beard has savings benefits as well (enough to purchase a game ticket, in fact) and offers readers tips for cutting the cost of shaving year-round. The site advises that the best way to save money on shaving may be to forgo the act altogether. Figuring in the cost of razors, shaving cream, and other grooming accessories, GoBankingRates managing editor, Casey Bond, advises "Skipping your morning shave for an entire year could easily amount to a savings of $100-$200, depending on how often you usually replace the blades – about the cost of a ticket to a hockey game." However, Bond adds, "There is life after hockey playoffs, and you’ll likely be expected to groom yourself accordingly. Fortunately, there are a number of ways to save money on shaving." GoBankingRates investigated what makes shaving an expensive habit in the first place, discovering that what often drives up the cost of shaving are the replaceable cartridges for razors. In fact, according to BoomerandEcho.com, Gillette is known for starting the more blades = better shave trend with the release of the Mach3 razor in 1998. 1. Dry razors after each use: GoBankingRates explains that razor blades go dull quickly because of oxidation, and not necessarily use. To lengthen the life of blades, avoid leaving razors sitting in moisture and dry the blades after every use. 2. Sharpen blades at home: Instead of throwing razor blades away when they begin to dull, there are a number of ways to sharpen them for extended use. For questions about this report or to speak with a GoBankingRates editor, please use the contact information below. GoBankingRates.com is a national website dedicated to connecting readers with the best interest rates on financial services nationwide, as well as informative personal finance content, news and tools. GoBankingRates collects interest rate information from more than 4,000 U.S. banks and credit unions, making it the only online rates aggregator with the ability to provide the most comprehensive and authentic local interest rate information. GuyManningham.com, A Tremendous Shave: History of the Playoff Beard, April 20, 2012. BoomerandEcho.com, Things I Hate Spending Money On: Shaving, April 4, 2011.